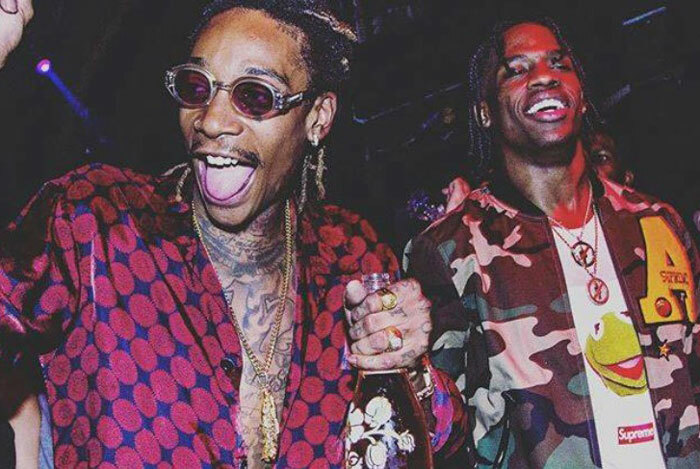 Travis Scott and Wiz Khalifa have done some songs together in the past couple of years but not much has come out to the public, apart from the ‘Bake Sale‘ song and video back in 2016. But that changes tonight as a new collaboration from the two marijuana enthusiasts called ‘Trippin’ is released, thanks to producer DP Beats. This track was previewed on Instagram by the producer last year so fans had been looking forward to hearing the full version. It would have been nice to hear a Travis verse but we can’t ask for everything. Hear it below. You can stream the full album DPONTHEBEAT Vol. 3 below which also features other tracks with Wiz Khalifa, Rick Ross, Lil Uzi Vert and more.